In this article, we will be comparing WD Blue vs WD Purple hard drives to understand its target markets better. Choosing the right hard drive for your computer can indeed be a difficult task. There are several options available at your disposal and finding the right one can indeed be a tough call. Western Digital, one of the prominent players in the realm of hard drives, provides you with a host of options to choose from. If you are looking for the best among the available hard drives, we are sure you are bound to be left spellbound. There are several versions that they offer and opting for the one that meets your needs can indeed be a nightmare. The company has been in the business since the ‘70s, and that should be proof enough to make sure that they are one of the best providers of the storage media across the globe. 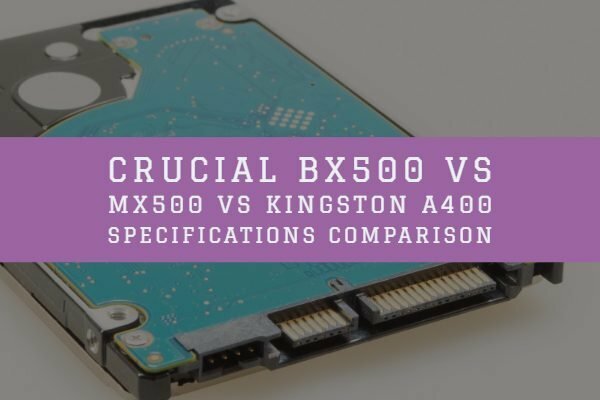 Several factors have helped them keep afloat in the ever-changing hardware market which is gradually moving towards SSDs or Solid State Disks. 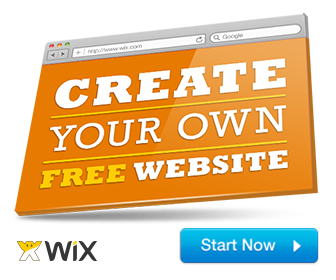 First and foremost, their pricing is affordable and within reach of the home users. 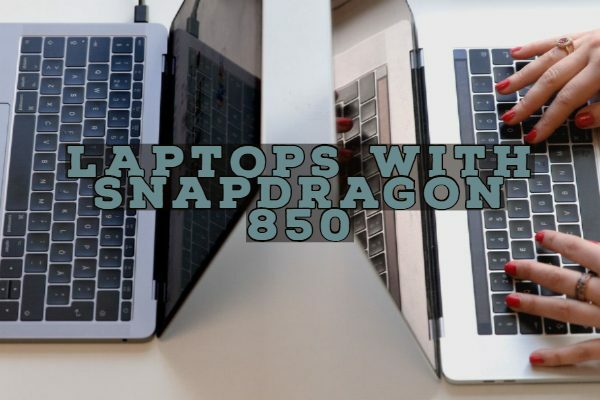 They have both the budget options available in their product range along with the higher priced enterprise solutions. They also have hard drives that would range based on the functionality that they are meant for. Right from enterprise and data center applications to the basic, home PC usage, you will find the hard drives tailored for every one of your needs. That is precisely the basis for the naming they use for their hard drives. Western Digital has been into manufacturing hard drives in Blue, Red, Black, Green, Purple and Gold variants. 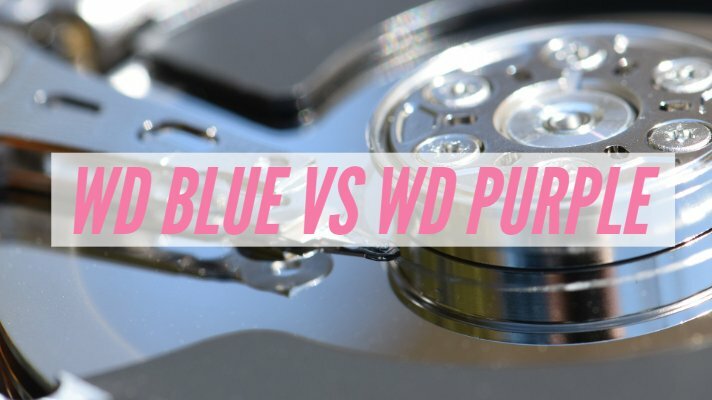 For the sake of today’s post, we will differentiate between the WD Blue and WD Purple hard drives. The WD Blue is the most cost-effective and widely used hard drive from Western Digital. They are said to be combining the best of all worlds. What we mean by that is they would offer you a mixed high capacity. The WD Blue hard drives are available at affordable pricing and can be suitable for the low-end usage and long lasting performance. Specifically designed for the home usage and an average customer, they will be offering faster sequential read and write speeds along with functional capacity. 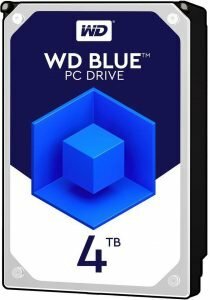 In case if you are someone who is looking for a hard drive for everyday tasks on your computer at home environments, the WD Blue can be one of the best options. The WD Blue hard drives are available with two spindle speed options. You can either opt for the 7200 rpm and 5400 rpm. The ideal conditions where the WD Blue can be used are the non-mission critical areas like basic browsing and streaming. They can also suit the situations where you will be able to use them for primary storage purposes. Please note that they may not be suitable for use in RAID environments. The WD Blue hard drives are available in capacities ranging from 250 GB to 6 TB. While all of them come with SATA 6 Gbps interface, the spindle speed differs across the hard drive capacities. The 250 GB and 1 TB WD Blue hard drives come with a spindle speed of 7200 rpm while those with sizes of 500 GB, 2 TB, 3 TB, 4 TB, 5 TB, and 6 TB capacities have a spindle speed of 5400 rpm. The WD Blue models will not offer you the advanced features like vibration protection. In essence, they are the basic models targeted at the most basic user base. The most popular model in the WD Blue bandwagon is the 1 TB capacity option with 64 MB cache and 7200 rpm speed. The WD Blue hard drives are best meant for everyday storage and in situations where the read and write speeds are not much important. You would be getting only two years of warranty with the WD Blue hard drives. 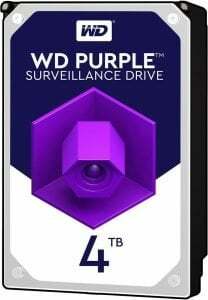 Yes, the WD Purple is the surveillance level hard drives from Western Digital. If you are looking for the hard drive options for the hard drives that are compatible with the write-intensive tasks, the WD Purple would be the best you can go with. One of the features that would leave the WD Purple hard drives quite a good option in themselves is the AllFrame technology incorporated within them. The AllFrame technology is designed to provide reduced video frame loss. 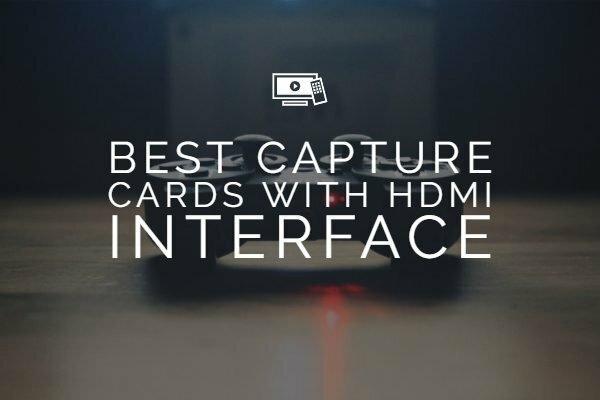 It will also help you control the levels of Pixilation and other errors you may typically come across in video recordings. You will also be able to control the video interruptions with the AllFrame technology. The WD Blue can work effectively with the RAID technology and offer you TLER technology. Another feature that you will love on these hard drives is the support for ATA streaming command set. The WD Purple drives are capable of supporting up to 8 drive bays and 64 HHD cameras. They can work with an annualized workload of around 180 TB per year. The WD Purple hard drives are designed for the massive writing functionality. You should be aware that the hard drives equipped for the surveillance systems make use of 95 percent of the capacity for writing, while only 5 percent of the load is used for reading. The WD Purple is perfectly designed for this kind of functionality. The drive is available in multiple sizes and offers you the capacities of 2 TB, 3 TB, 4 TB, 6 TB, and 8 TB. A few application areas that the WD Purple hard drives can be useful include Network Recording Video (NVR), NAS and DAS systems. Not to forget, the WD Purple hard drives come with a three-year warranty. In essence, the differentiating features of the two types of hard drives would be that the WD Blue is intended for the basic desktop applications, while the WD Purple is best suited for the 24-hour functionality. Well, that was the comparison between the WD Blue and WD Purple hard drives from Western Digital. The Blue variant is designed specifically for the low price requirements of the basic desktop applications and non-demanding applications. The WD Purple, on the other hand, would be an excellent option for a high-end performance like surveillance. The WD Purple packs in a few additional features are keeping up with its intended usage preferences. As you would be able to find in the comparison and the description of each of these hard drive types above, it should be evident that they offer you diagonally diverse functionalities. Go through the exact specifications of each of them and compare them with your requirements to arrive at the right decision. If you are already using either of them, share your thoughts with us.